My name is Amir Siddiqui and I can teach you how to become a world-class personal trainer. I have worked in the personal training industry for over 15 years and have had experience training more than 2000 clients (real personal training, not group classes). 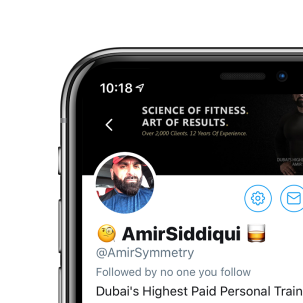 I’m known as the highest paid personal trainer in Dubai and have charged up to 1,000 U.S dollars for a single session of coaching. 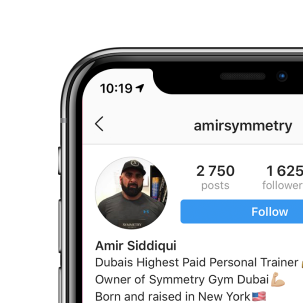 I also own the most successful training studio in the city, Symmetry Gym Dubai; a multi-million dollar business. But the one thing that doesn't get noticed much is that during all that time, and through all those clients, I’ve also coached the coaches that worked with me. And creating world class coaches is what Muscular Intelligence will focus on. If you have the desire to learn what I know and to learn how to maximize your unique and personal strengths to create the sort of legitimate success that is based on how good you are at the craft - rather than at marketing – then you’ve come to the right place. Muscular Intelligence is your unfiltered resource on what it takes to become world-class. Consider me your secret-weapon that you can deploy to accelerate past the competition and become the top coach and trainer in your area. Here’s the truth: it takes work and time to reach the top 10% of experts in your field, and especially in the fitness field. But what is truly annoying (and saddening) is how much time you will end up wasting getting there without a mentor guiding you. I know because I did. What I can do for you is to make sure you read the most effective and important books, cultivate and hone your skills of coaching and programming, and dramatically enhance your client communication quality. If you truly have what it takes, and combined with my help, you will have the success only a few have ever achieved, but everyone is trying to. The first step is to subscribe to my email list and make sure you don’t miss the gems I pass along. Secondly, read the blog. Thirdly, put what you learn into action. By doing this your career will progress in light years while your competition stalls at the speed of in-action; I’ll see you on the other side. Major Articles and Minor Articles; I write as the inspiration hits, not because I'm following a marketing time-table. © 2018 Muscular Intelligence, LLC. Design by Jon Persson. Almost there! What's your email?